Pied Wagtail (Motacilla alba yarellii). Pied Wagtail. Taken at Farmoor, Oxon., on December 28th 2015. Pied Wagtail. Taken at Farmoor, Oxon., on December 28th 2015. White Wagtail (Motacilla alba alba). White Wagtail. Taken at Farmoor, Oxon., on April 14th 2012. White Wagtail. Taken at Farmoor, Oxon., on April 14th 2012. A small, long-tailed and rather sprightly black and white bird. When not standing and frantically wagging its tail up and down it can be seen dashing about over lawns or car parks in search of food. 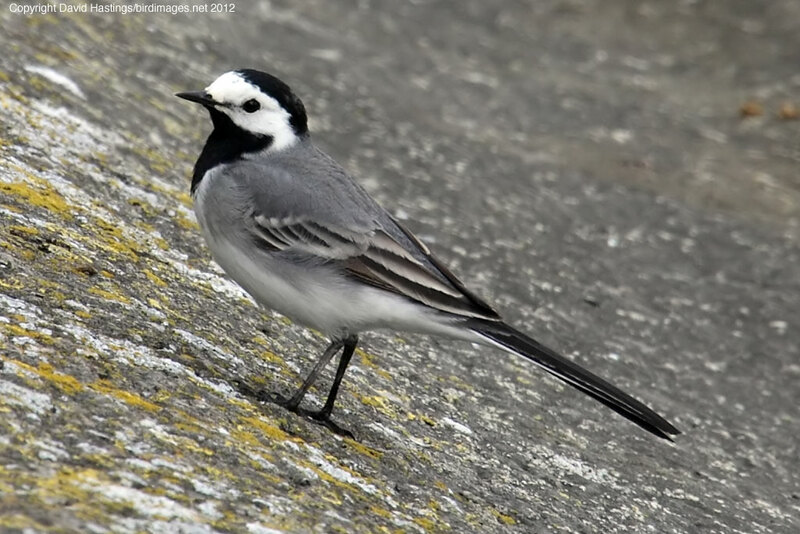 There is a form called the White Wagtail (M. alba alba), which has a grey rather than a black back. It is found throughout the British Isles, although not in much of Scotland in the winter. It can be found in most habitats, even town centres, although nearly always near water. 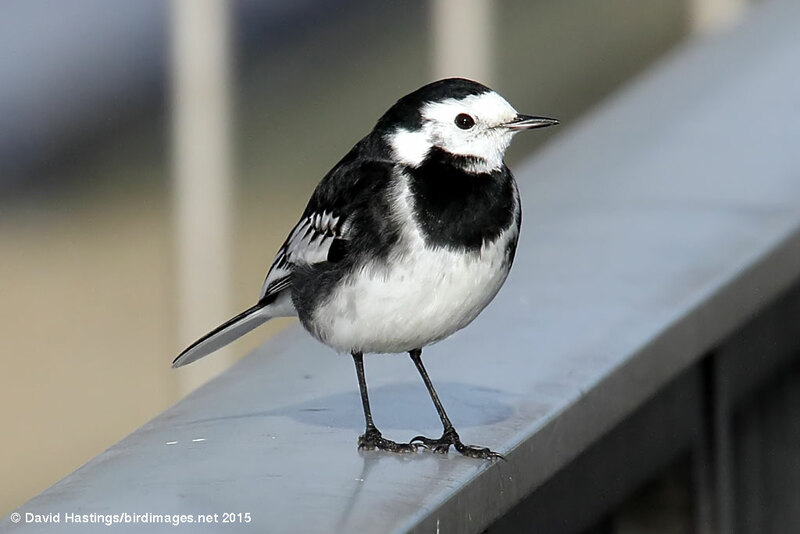 Pied Wagtails gather together in large roosts, sometimes in towns, often assembling on roofs beforehand. Green status. There are between 272,000 and 352,000 territories in the UK.